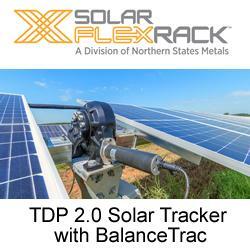 The rule approved today will allow solar projects that meet certain technical requirements to qualify for a "fast track" interconnection process, thus eliminating the need for costly and time-consuming studies. For the purpose of this article the focus will be on making smarter specification of cable and wire management systems for solar installations. The reason--- these components are often overlooked. 14 Operators will gather to discuss their O&M strategies at the 6th International Onshore and Offshore Wind O&M Forum in Hamburg, the �hub' for operational wind facilities and service specialists. A 100 megawatts solar photovoltaic plant is to be developed in Canada, making it the largest one of the country. 11/20/13, 05:56 PM | Solar & Wind | Nextronex, Inc. The project will install enough solar power so that the Toledo Zoo will not only supplement their electric use but has the potential to meet 100% of their energy requirements during peak periods. UKTI and a delegation of UK companies showcase their expertise in green building and design at Greenbuild.